Your can't-live-without liquid foundation, now in a fuss-free compact. Perfectly matched to skin tone and texture, it never looks fake or makeup-y, just like smooth, even skin. With 12 hours of flawless, oil-free wear, all you see is your skin – at its best. Plus, it's completely portable, too – with a hidden sponge applicator right in the compact – so you look polished wherever you go. looks chalky and is harder to build up coverage; definitely not as good at covering dry spots. nice compact foundation. has a thick consistency but is easy enough to blend when you warm it up. gives great, even coverage. It's portable and has great coverage. Blends into skin well. easy to apply and lightweight. Perfect! 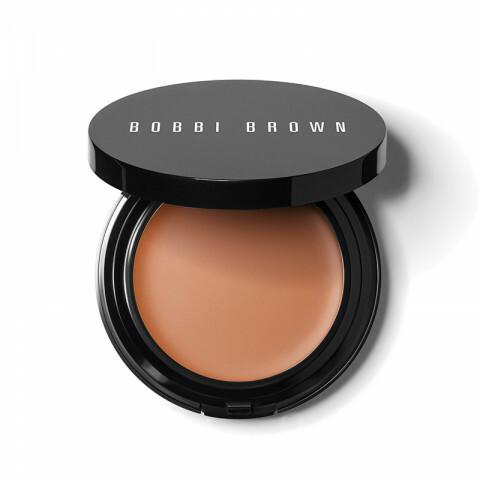 overall, i do like this compact foundation from bobbi brown. comes with a pad to touch up your face which is great. i just wish there was more product in this. i have pale skin and the alabaster shade matches me perfectly.